Dylan Walsh met challenges full on at MXGP Trentino, battling recovery from Valkenswaard crash, coming through the field in R1 to 23rd and R2 26th- Championship standing at 19th Overall MX2. 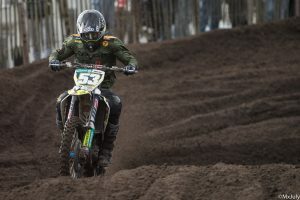 With 4 week gap until Round 5 Mantova, then another 2 back to back GP’s, Dylan will spend time healing shoulder in between racing 2 British MX Championship Rounds. #53: Yeah this weekend was a struggle for me obviously still not 100% from my crash last weekend. Moto One I caught up in the first turn so came from the back to only get to 21st and Race two made my way up to 16th then got taken out on the last lap’. 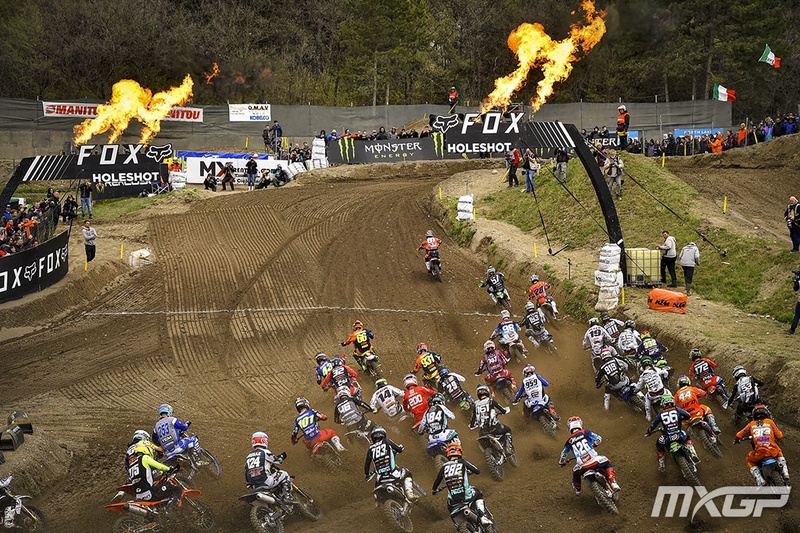 The tricky track surface, gave even greater edge to hole-shot riders, making MX2 Series challenging to adapt from flowing open venue at Matterley Basin, to deep sandy ruts at Valkenswaard, to tight, slick dirt of Trentino. #53: ‘Yeah the track is really difficult to pass especially coming from behind but it’s the same for every one. I have a 4 week break now so I’ll get my shoulder back to 100% plus I have two British Championship races in between’.